Our cattery can handle multiple cats depending on the social behavior with other cats. There are two large windows, a large window sill for catching rays and taking in the scenery, and, of course, lots of toys and shelves to climb for the curious cat. Private condos are available for those who prefer their own space. We customize each cat stay and work with you to determine what is the best fit. There is a 15% discount for stays for a month or more. 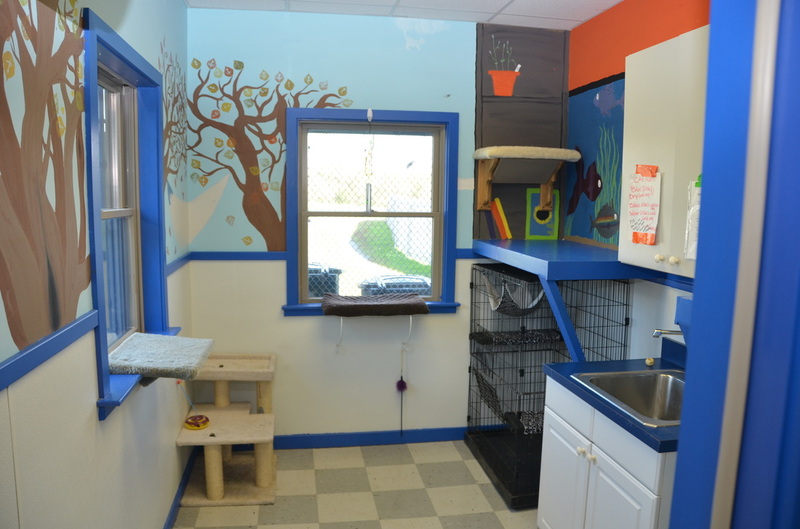 We can accommodate cats with special needs including medication and other conditions as well. Proof of shots is required prior to boarding. There will be a $25.00 charge if we must take your animal to the local veterinarian for shots The cost of the visit and vaccinations will be included in your bill.